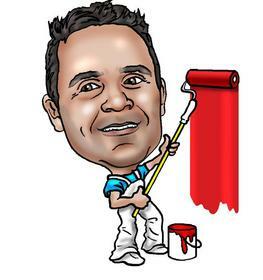 Lance Shackelford has been a professional painter for close to 20 years in the South Florida market. For most of this time he has worked as a preferred sub-contractor on 100's of job sites throughout Broward and Palm Beach Counties. In his career, Lance has been regularly sought out by General Contractors for custom artwork in high-end homes and businesses, and he has developed a reputation for premier quality work with an extraordinary attention to detail. In 2008, Lance ventured out on his own and Straight Edge Painting & Design was launched. His precision work continues to enhance the appearance of many a custom home or professional office throughout the region.